As of September 2011, municipalities with 4,000 or more residents must enforce the MUBEC if that municipality had a building code in place before August 2008. As of July 1, 2012, the MUBEC must be enforced in a municipality with a population of 4,000 residents or more that had NOT adopted any building code on or before August 2008. If smaller municipalities choose to enforce a building code, they have several options for doing so. See the Codes Adoption History section of this page for more information. 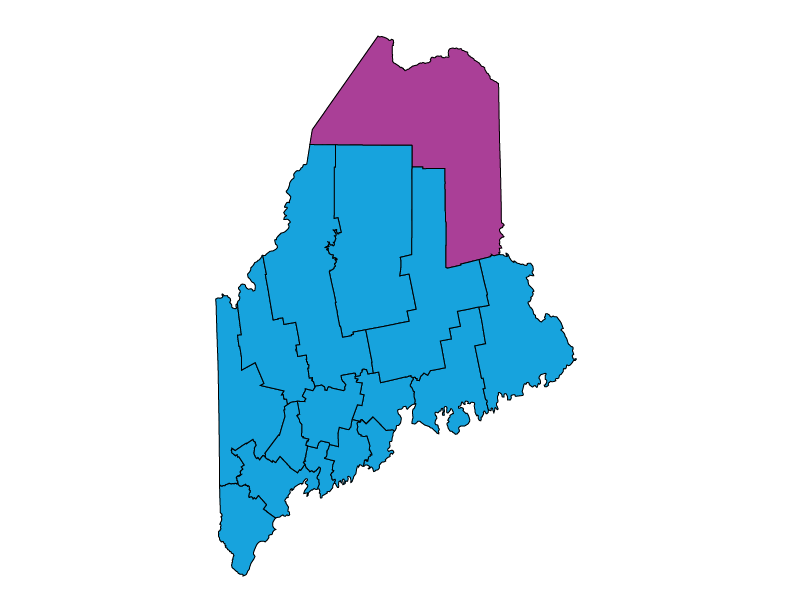 As of July 2015, about 63% of Maine’s population lived in a city or town with a population of 4,000 or more. Code adoptions and amendments originate from the Maine Technical Codes and Standards Board (TCSB), which is part of the Department of Public Safety. The TCSB issues draft and final rules through their ordinary rulemaking process, which includes public comment. The rule also must be approved by the Attorney Generals’ office to ensure legal and procedural compliance. The law requires the TCSB to maintain an adoption cycle such that codes do not lapse more than 5 years or one national model code version cycle. For its commercial energy code, Maine considers the most recent version of 90.1 with positive DOE determination. The Technical Codes and Standards Board is currently working on the adoption of the 2015 IECC for commercial buildings. The 2009 IECC will continue to apply to residential buildings. As of February 2017, the board is waiting for a return of Rules for Rule-Making from the Governor’s Office and will have a Public Hearing as soon as they receive them back. A change in law requires municipalities of 4,000 or more in population (formerly 2,000) to enforce the MUBEC if they had a building code in place by August 2008. The MUBEC now must be enforced in municipalities of 4,000 or more in population that did not adopt any building code on or before August 1, 2008. Two other bills addressing the MUBEC are considered by the Committee on State and Local Government. LD 1416 would return the power of adopting building codes to municipalities, shrinking the statewide application of the MUBEC. LD 1442 would clarify enforcement of the MUBEC and reaffirm its position as the statewide construction code. A bill (HP 36 LD 43) was introduced in the Maine Legislature that would repeal the Maine Uniform Building and Energy Code (MUBEC). A hearing on the bill is scheduled for April 7 before the House Committee on Labor, Commerce, Research and Economic Development. On April 14th, House Committee on Labor, Commerce, Research and Economic Development of the Maine Legislature votes that this bill ought not to pass. Other legislation has also been introduced to delay, modify, or alter the application of the MUBEC. Towns with a population of 2,000 that had a building code on August 1, 2008 will be required to begin enforcing the code December 1, 2010. Towns with a population of 2,000 that did not have a building code on August 1, 2008 will be required to begin enforcing the code December 1, 2012. Towns with a population under 2,000 are not required to enforce the code. The MUBEC replaces all local municipal building codes. Cities and towns may not amend any MUBEC provisions, even to make it more stringent. Enforcement is the responsibility of local jurisdictions. Municipalities without a CEO certified by the State Planning Office may authorize a third-party inspector to conduct compliance inspections and prepare a report to be given to the municipal CEO as an application for the Certificate of Occupancy. The completed Climate Action Plan is submitted to the legislature. The Maine State Legislature passes a bill that requires the DEP to develop a climate action plan with the goals of reducing emissions. PL 503, “The Energy Building Performance Standards Act,” establishes 10 MRSA, Chapter 214, which directs the Office of Energy Resources (OER) to adopt voluntary energy standards for residential and commercial new construction and substantial renovations. In 1980, the legislature adopts the voluntary standards into law. The state legislature adopts what is now Chapter 57 of the Private and Special Laws, which directs the OER to establish the Maine Commission on Energy Efficiency Building Performance Standards (the Commission). The Commission is directed to investigate energy building standards and make recommendations to the next biennial legislature.